With sufficient funds to capital fund your own solar PV system, your business stands to benefit from lower electricity bills from day one. A leasing agreement allows businesses and public bodies to make regular payments for their solar energy rather than buying outright. A Solar PPA (Power Purchase Agreement) allows businesses to benefit from a fully funded solar system with no capital outlay. You will then buy electricity from renewable source funders at a lower rate compared to your current energy price, index-linked to RPI rather steeply rising energy costs. 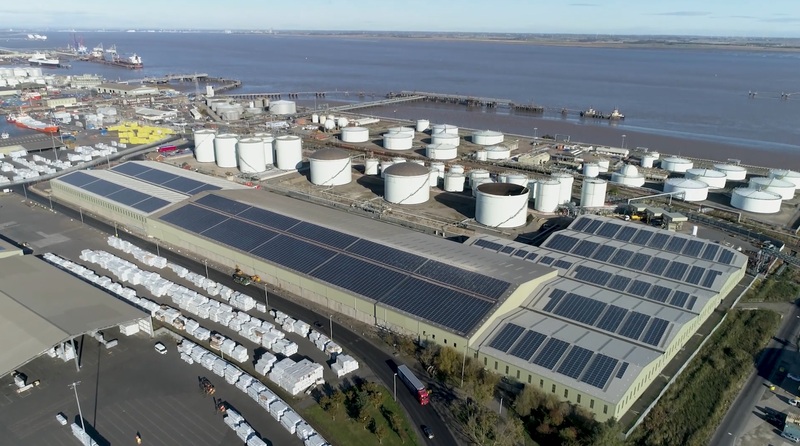 In October 2018 the Immingham solar project secured the title of “Commercial Installation of Year” Award at the annual industry Solar Power Portal & Storage News Awards.